Hide deals from seller "Renegade Youth Baseball Training"
Limit 1 per person and 1 per transaction. Valid on (3) 1-hour pitching lessons. Valid for ages 6-13. By appointment only. New students only. Promotional value expires 60 days after purchase. Help Junior on the path to his first no-hitter with 51% off three 1-hour pitching lessons from Renegade Youth Baseball Training in Uptown ($225 value). 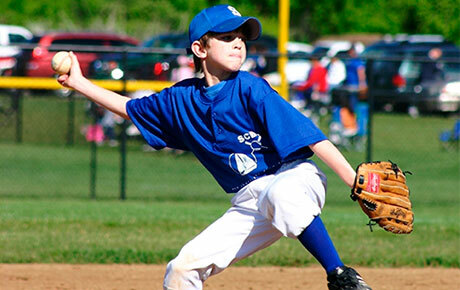 The experienced instructors will train your child in the different types of pitches and techniques of America’s favorite pastime. Renegade Youth Baseball Training has helped countless students learn the fundamentals of the game over the past four years. The staff offers experience, passion and dedication to help each student reach their full potential. Each 1-on-1 training session guarantees that students receive the utmost individualized attention, allowing instructors to tailor sessions for maximized results. Throw life a curveball with this deal. Youth baseball trainers in Uptown offering their expertise in hitting and fielding.